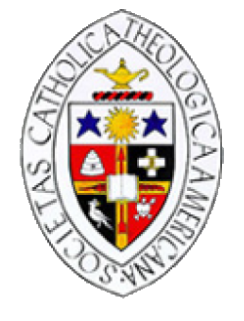 The Women’s Consultation in Constructive Theology annually grants the Ann O’Hara Graff Memorial Award to a woman scholar of the Catholic Theological Society of America. The award is granted annually at the CTSA annual convention. 1. To honor the memory and work of Ann O’Hara Graff’s scholarship and mentorship. 3. To acknowledge women who mentor and support of women in the broadest sense of church. 4. To value women who are contributing to the renewal of theology by their constructive work. The woman scholar who is honored shall receive a plaque of recognition, a gift certificate for a memorial plant, a traveling vase (passed from honoree to honoree), and flowers. The award recipient will be featured on the CTSA website. 1. Nominees should be active members of the Society at the time of the nomination. 2. Nominations are solicited every year at Convention during the Women’s Consultation Session and the Women’s Consultation lunch. 3. Nominations are solicited every year with a call to the full membership in the late summer or early fall. ** Given the rich variety of women who are nominated every year, the selection committee for the award not only reviews the most recent nominations (i.e. from 2019 for the 2020 award) but the past several years of nominations. 1. Embodies Ann O’Hara Graff’s commitment to the integration of faith and scholarship. 2. Exemplifies Graff’s commitment to advocacy and support of women in the academy and the broadest sense of church. 3. Contributions to the renewal of theology by their constructive work. Given the numerous women scholars in theology who meet the criteria above, consideration is also given to balancing a) mid-career with later career or emerita scholars; b) honoring women already well known and awarded in other venues, and women who have made substantial contributions but are not as recognized or acknowledged publicly; c) all types of diversity (fields of study, representative of all women in the guild). These things are considered in order to over the years showcase, acknowledge, and highlight the vast diversity of women in theology. Given the array of women scholars in theology who meet the criteria above the committee seeks to make sure that collectively the awardees showcase, acknowledge, and highlight the diversity of women’s theological work. Once consensus is reach amongst the Award committee regarding the recipient the Award Convener notifies the CTSA conference planning committee and the award recipient. Members of the Committee vary year to year as people rotate on and off the steering committee. The Ann O’Hara Graff Award Convener of the Women’s Consultation in Constructive presents the award at the Women’s Consultation Session at the CTSA annual convention.